No, this isn’t a headline from The Onion. How does the Mormon Church respond to a woman critical of the Church’s treatment of women? By ex-communicating her. I guess they want to show and not tell. Kate Kelly has been a Mormon all of her life. She served as a missionary in Spain when she was 21. She was married in the Salt Lake Temple. She has been a proud Mormon and, up until very recently, a regular church-goer. But on Monday, she found out that the Mormon Church, also known as the Church of Latter-Day Saints, ex-communicated her for apostasy, the repeated and public advocacy of positions that oppose church teachings. The symbolism couldn’t be any better (or worse); Kelly was excommunicated in absentia by an all male panel for questioning the all male nature of the Church’s leadership. Specifically, Kelly advocated for allowing women to be ordained as priests. According to the Mormon Church, only men can become priests because all of Jesus’s apostles were men. That’s men. Not boys. 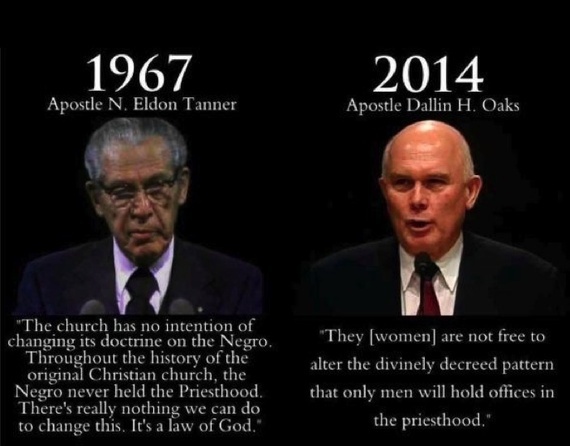 Yet the Mormon Church has no problem ordaining boys as young as 12. Why do they follow Jesus’s example when it comes to gender but not age? It’s easy for me to ask that question. I have nothing to lose. I’m not Mormon. But questioning the Church proved extremely difficult for Kelly, a human rights lawyer from Virginia who now lives in Utah. 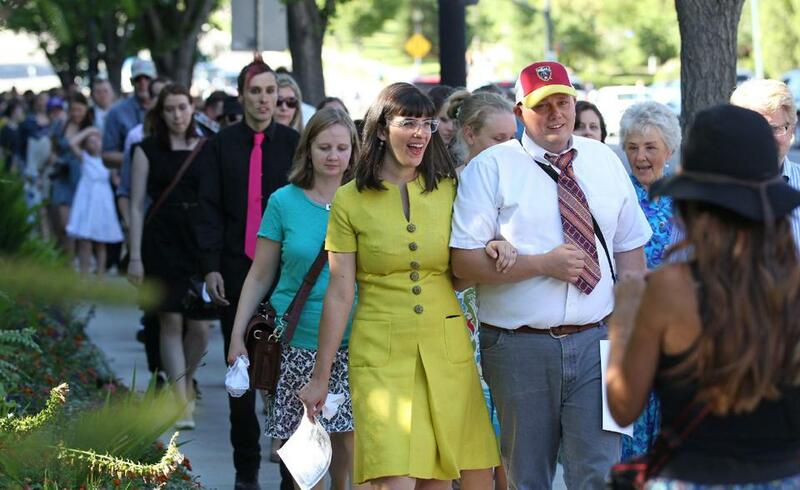 Kelly started the organization Ordain Women, which “aspires to create a space for Mormons to articulate issues of gender inequality they may be hesitant to raise alone. As a group we intend to put ourselves in the public eye and call attention to the need for the ordination of Mormon women to the priesthood.” She also organized demonstrations at the Church’s conferences at Temple Square in Salt Lake City. I will not take down the website ordainwomen.org. I will not stop speaking out publicly on the issue of gender inequality in the church… I cannot repent of telling the truth, speaking what is in my heart and asking questions that burn in my soul. If an institution needs to be improved, if there’s ways that it can be more inclusive, I’m just the type of person who likes to invest and dig in and help make that institution a better place, whether that’s the United States of America, where I live, whether that’s my church, that I love. I disagree with the U.S. government on some of their policies but that doesn’t mean that I move to France… And I’m the same way with the church. The decision to force me outside my congregation and community is exceptionally painful. Today is a tragic day for my family and me as we process the many ways this will impact us, both in this life and in the eternities. I love the gospel and the courage of its people. Don’t leave. Stay, and make things better. Sadly, The Mormon Church made it very clear that it remains officially and undeniably sexist as an official institution. Luckily, there are countless Mormons who support Kelly and her beliefs, as evidenced by the over 1,000 letters written to her bishop on her behalf, and the over 50 vigils held in 17 countries around the word, and a rich tradition and thriving culture of Mormon Feminism. Hopefully, The Church hierarchy will adapt.